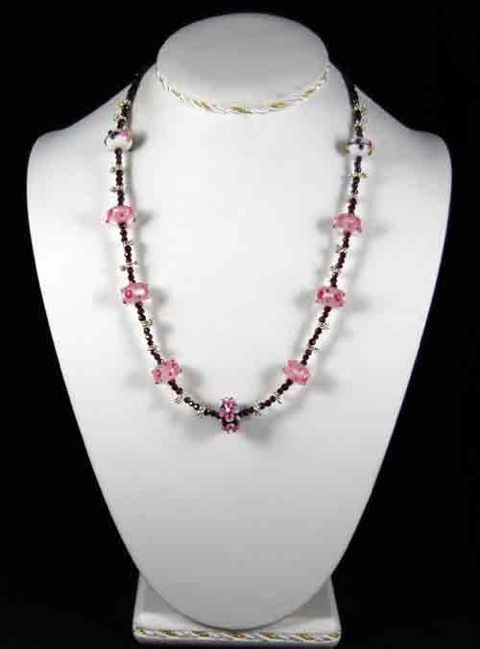 This 21" necklace with dark red faceted beads, pink and white flowered beads and silver accents and clasp. 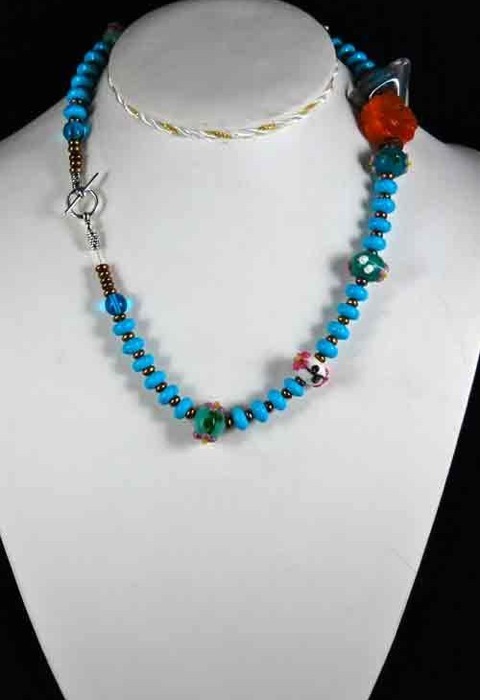 This 19" necklace has turquoise rondells, glass beads with applied flowers, gold-colored beads and a nice feature bead with impressed flower of Carnelian. Silver clasp and beads. 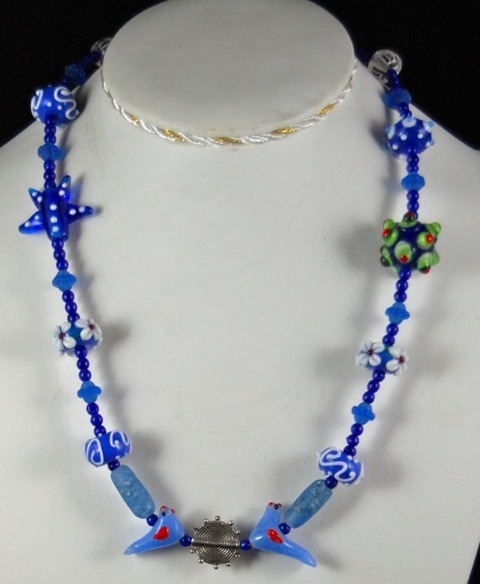 Blue themed glass necklace. Various hues, sizes and shapes of blue glass beads. 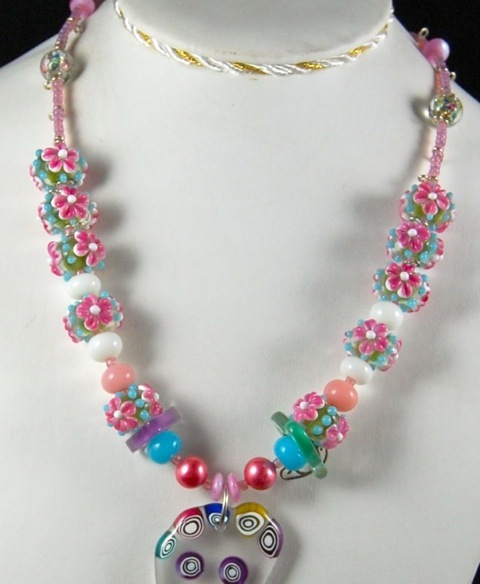 Two glass bluebirds and two tubular grayish-blue beads. 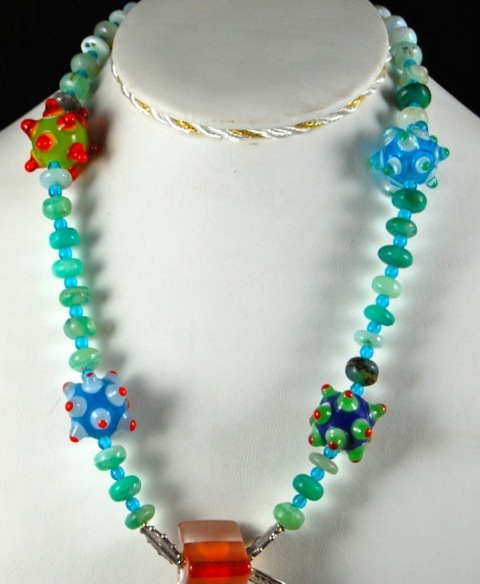 One large blue bead with green and red glass overlay. Silver lady beads, spacers and clasp. 20" long. 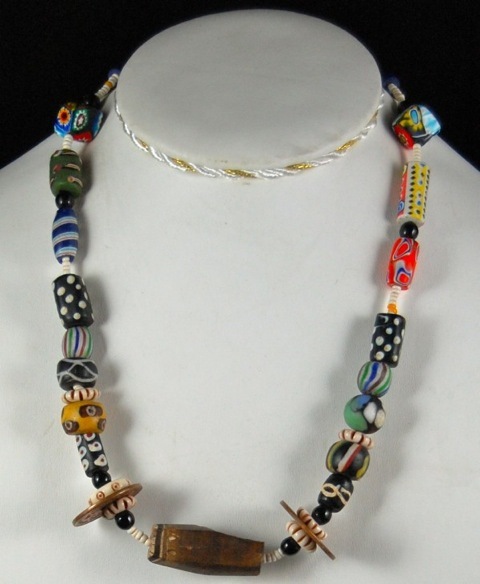 4 large multi layered round glass beads. One orange and clear blown bead. Small disk shaped variations of green beads. Small turquoise beads. Silver Giraffe. 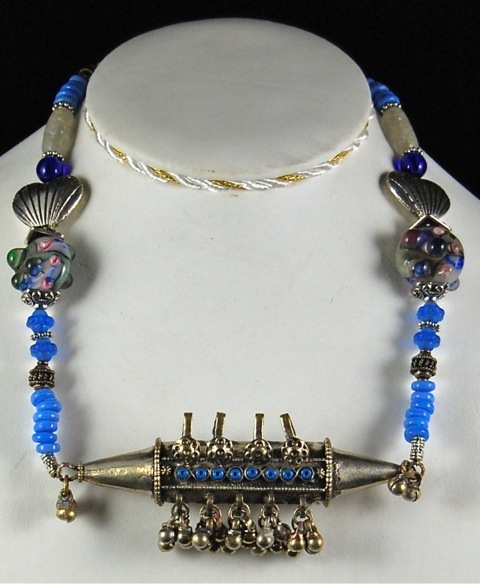 Silver beads and clasp. 20"
Glass necklace 20" long. 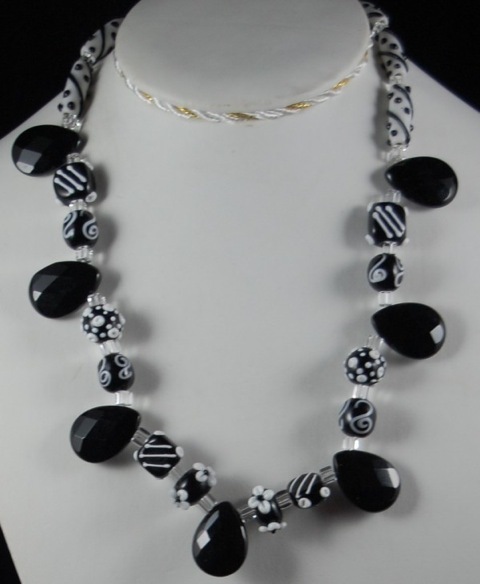 Black and white flower beads. Black and white glass tube beads. Black jets. Clear quartz tube beads. Silver heart beads and other silver accents and clasp.